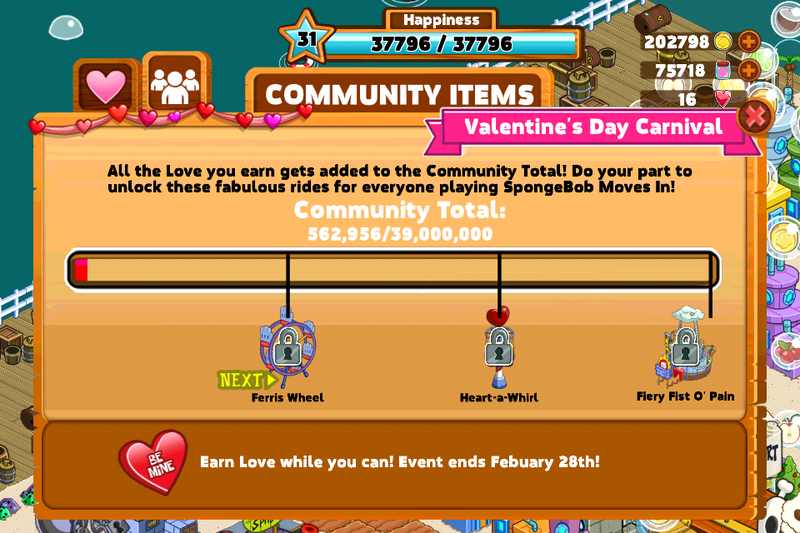 Valentine's Day 2014 - The SpongeBob Moves In Guide Site! 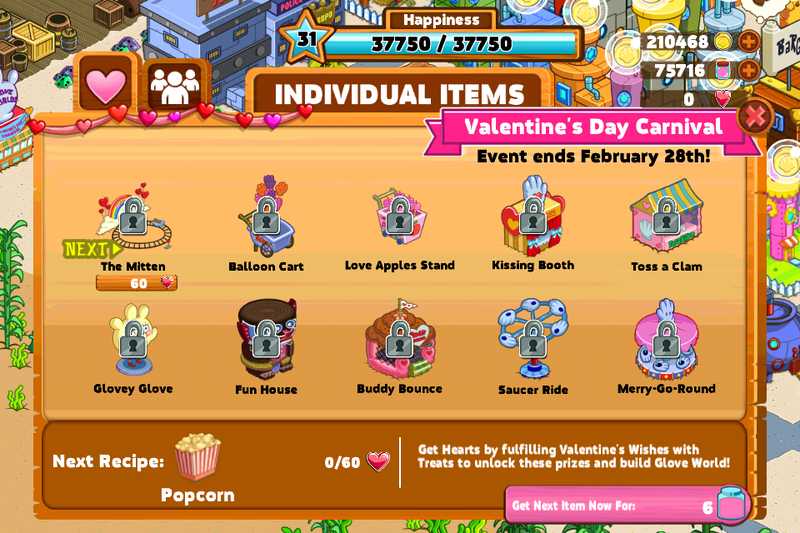 Valentine's Day 2014 Event Guide! 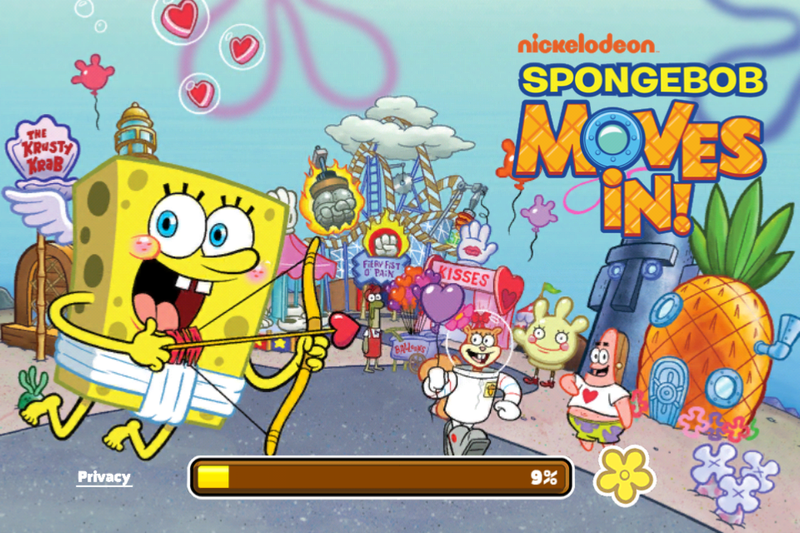 With The Updated Version 3.09.00 released February 6th, we received the third event in "SpongeBob Moves In" history! 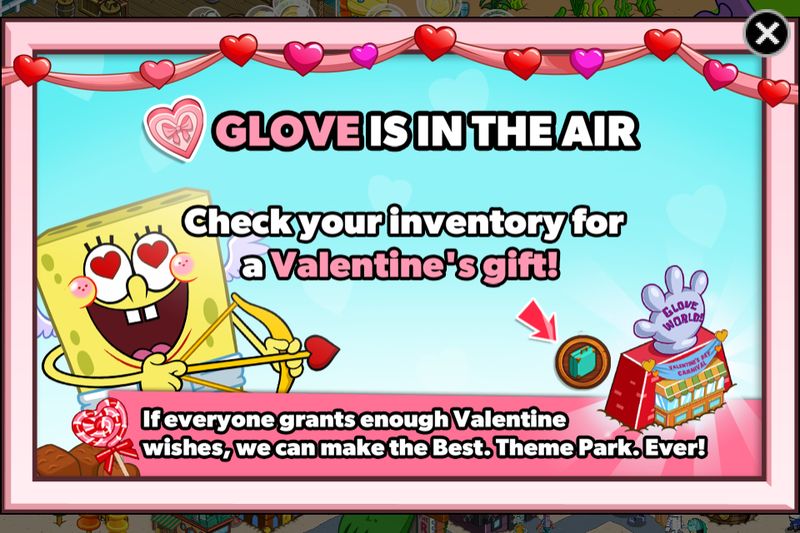 The First Event of 2014 celebrating Valentines' Day features an all-new unlockable part of Bikini Bottom known as the Goo Lagoon Dock where players can build their Very Own Glove World Amusement Park! Glove World is located nowhere close to Goo Lagoon in the show but still, at least there are new unlockables! Check Out All the Great Stuff that happened in "SpongeBob Moves In" in February and March 2014 below! Build You Very Own Glove World! The Main Attraction of this Event was the ability to build one's Very Own Glove World Amusement Park on the Brand-New Unlockable Goo Lagoon Dock (you need to use coins to unlock the space)! The question is, why wasn't Glove Universe released instead of Glove World? After all, Glove World was shut down and replace in the Season 8 episode "Glove World R.I.P"! Either ways, the ability to have your very own Theme Park in your town is one of the Best things to happen in the game so far! We've listed down step-by-step the instructions to complete the Valentines' Day Quest-Line in our NEW Valentines' Day 2014 Quest Guide! Visit It by clicking here! 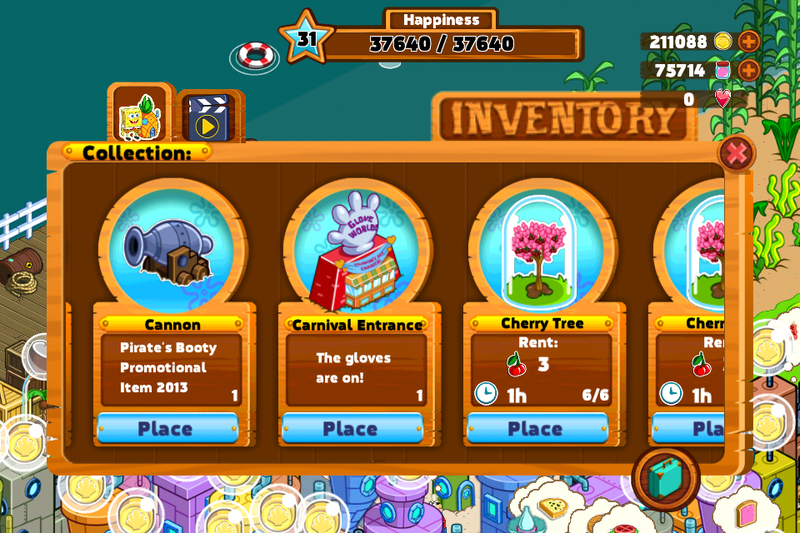 Also, we have an extra section all about the items you can obtain a few sections down. Get buildin' now! Alongside the opportunity to build your Very-Own Glove World, we plenty of New Treats landing in Bikini Bottom this February! From Valentines' Chocolates, to Popcorn, you have to check it out in order to love it! Take a look at all the New and Exclusive Treats that were released in for this Special Event here! The Ticket Booth! It's the Entrance to Your Glove World! 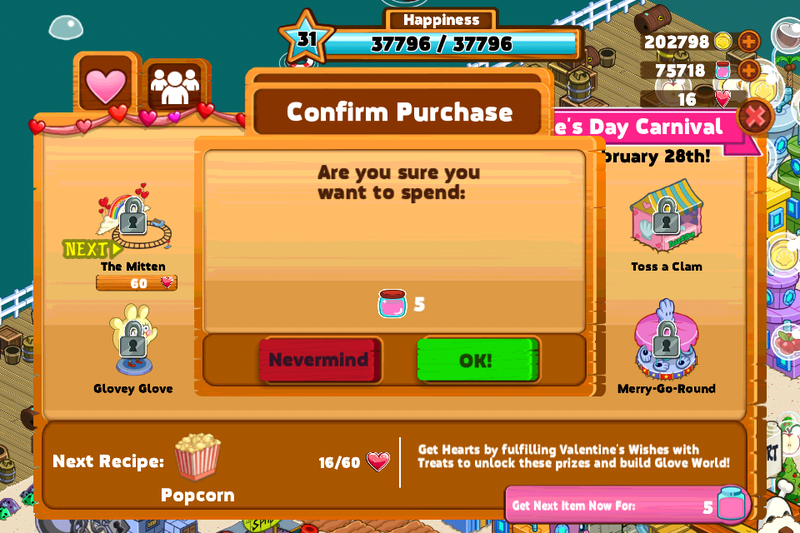 On the First Game Load you make after updating to 3.09.00, you should get a message just like the one pictured on the left above notifying you of your "Valentine's Gift" which can be found in your inventory. The gift you will receive is the "Glove World Ticket Booth" which you'll need to put into your town later in the Questline. Of course, it can be moved into your town whenever you want. 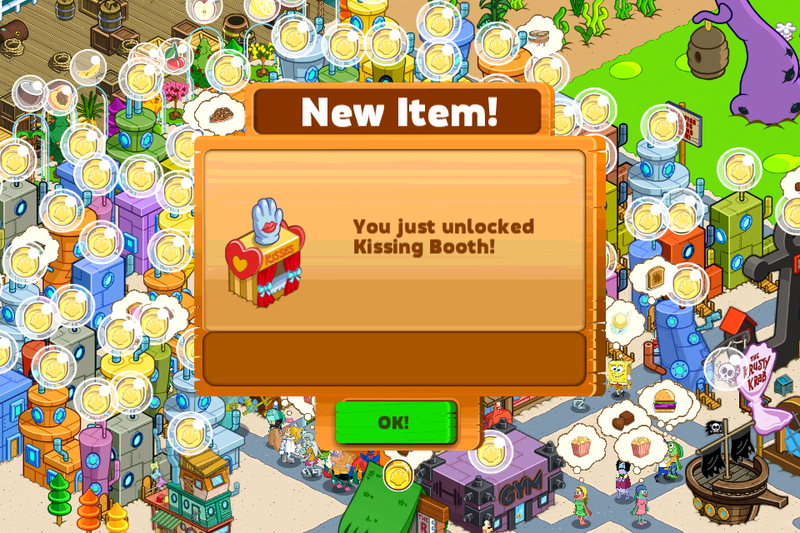 This item is the First of 14 Awesome New Buildings you can obtain during this Special Event. 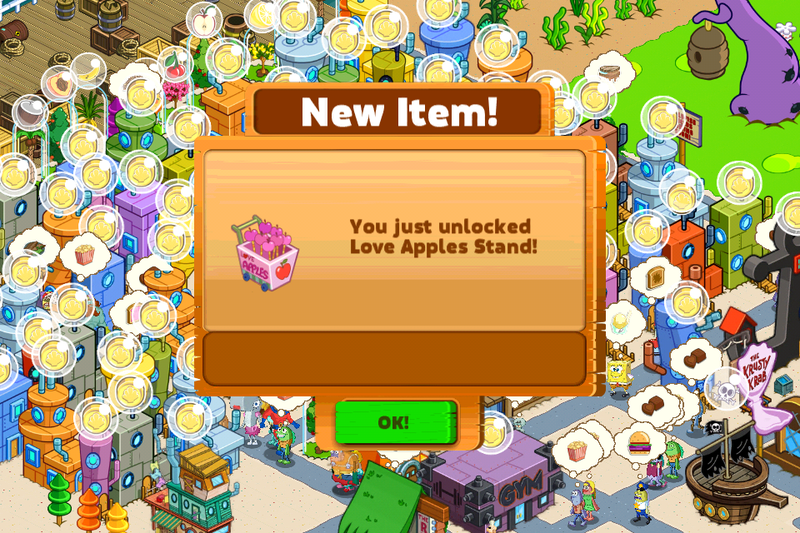 Check Out all the other Great Items you can Move In to your town below. What's In Your Valentine's Day Carnival? 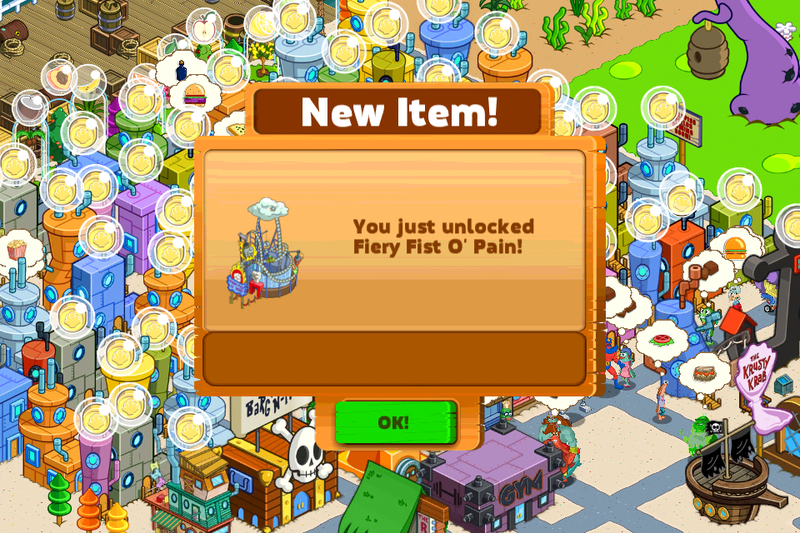 Unlock Individual Items! 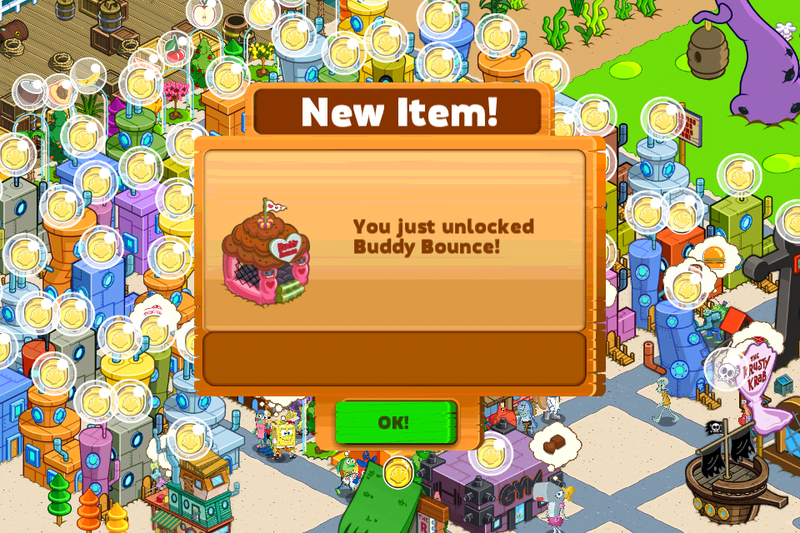 As with every Special Event, we have some new stuff to "Move In" to Bikini Bottom! In this release, there are a total of 10 Limited-Time Only Carnival Rides that you can unlock in order using Hearts which can be obtained from feeding your citizens or collecting rent from the rides you've already Moved In. 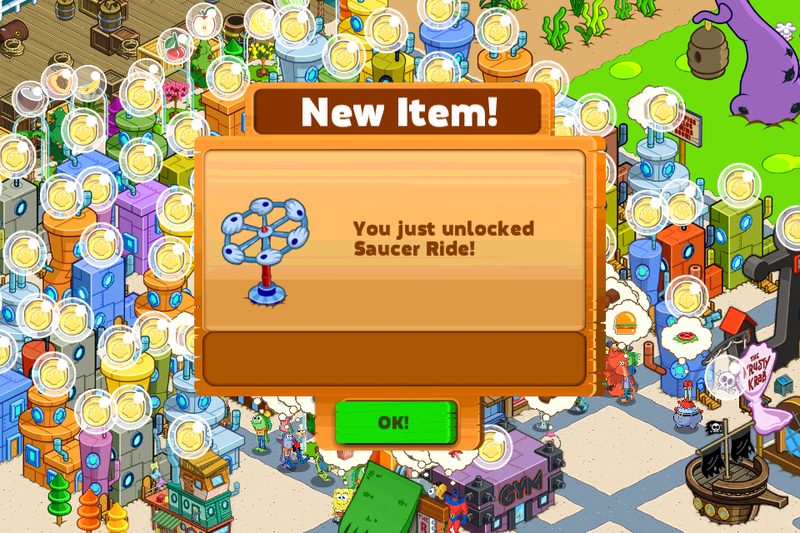 Note that you could unlock the Rides using Jellyfish Jelly as stated above. 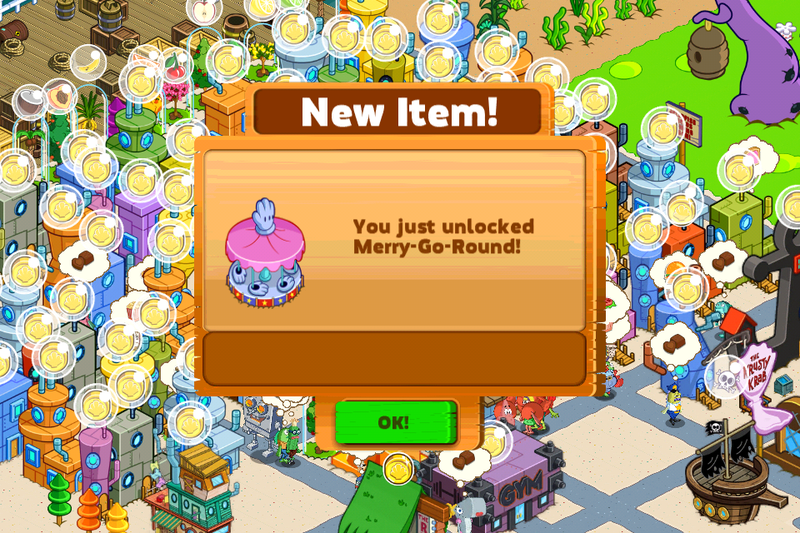 The Jellyfish Jelly also unlocks a Treat Recipe every time just like when you purchase rides using Hearts. 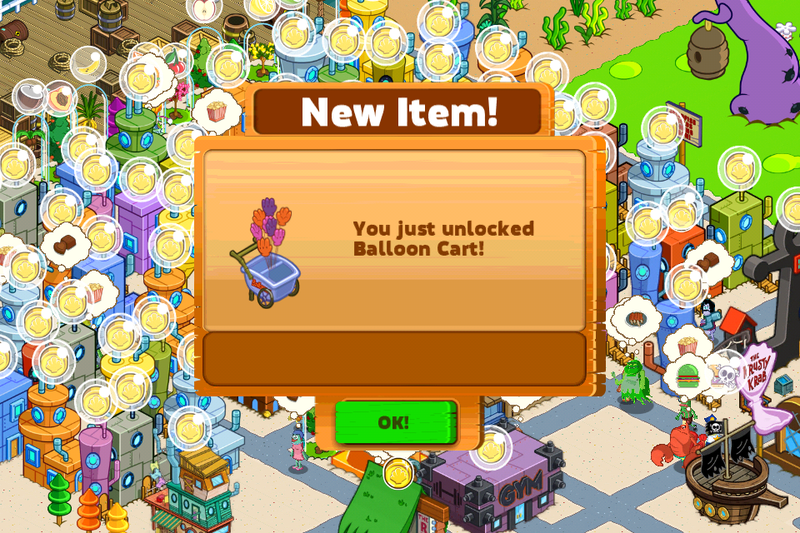 All the rides can be Moved In to any part of Bikini Bottom, not just the Boardwalk. Check Out the Community Items that are available below! Community Love! Unlock Community Items! Another First-Timer in this Event is the ability to work together as a Community to collect Hearts and eventually Unlock Exclusive and FREE "Fabulous Rides" for your Very Own Glove World! Of course, these items are different from those that are under the Individual Category. 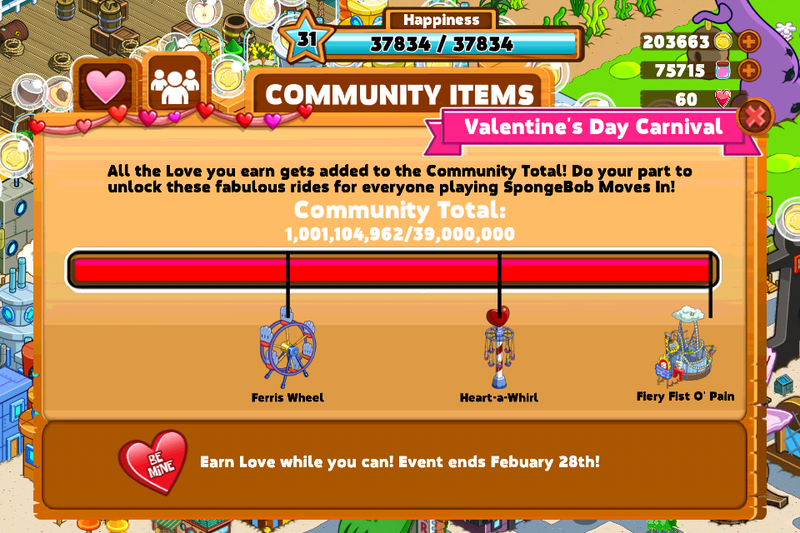 By the end of February 7th, "SpongeBob Moves In" players all around the globe had past the Community Goal of 39,000,000 by almost 25 times more (1,001,104,962)! Thumbs Up for helping out! There were 3 riders in total to be unlocked with this feature. Wouldn't it be great if Nickelodeon did such a feature for Every Event? We'll see. Q: What is Going On for Valentines' Day? 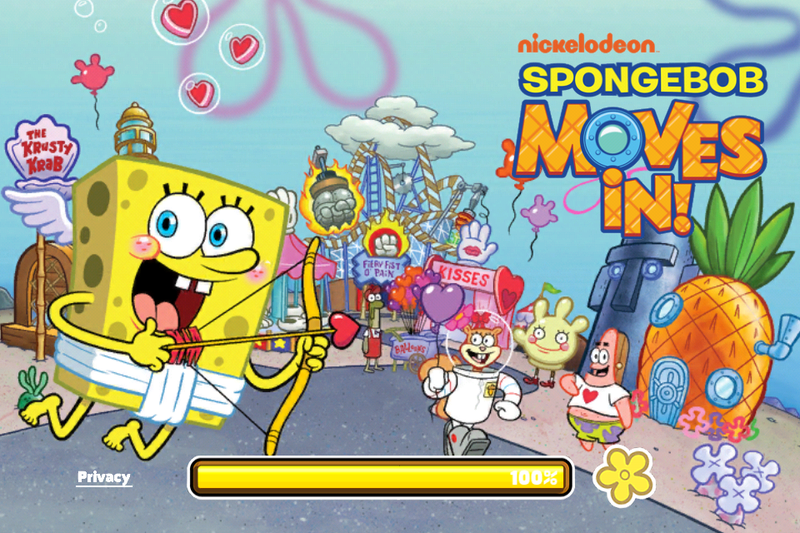 A: The event allows players to collect and place in their towns new content generated by the participation and collaboration of the entire SpongeBob Moves In community. 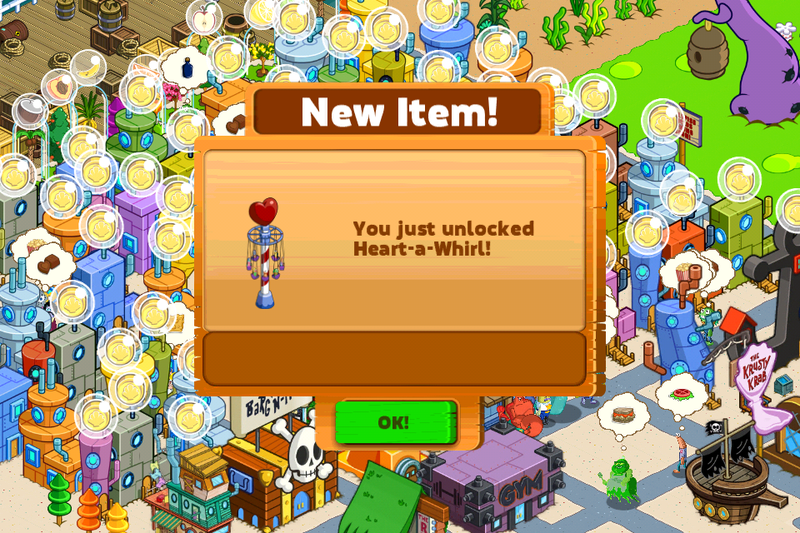 The more Hearts players earn, the more content they will unlock for themselves and the rest of the player community. Q: What is Glove World and How Do I Get to it? A: Glove World, home to Glovey Glove, is a theme park located at the top of the Bikini Bottom map. Q: What do I Use Hearts for? 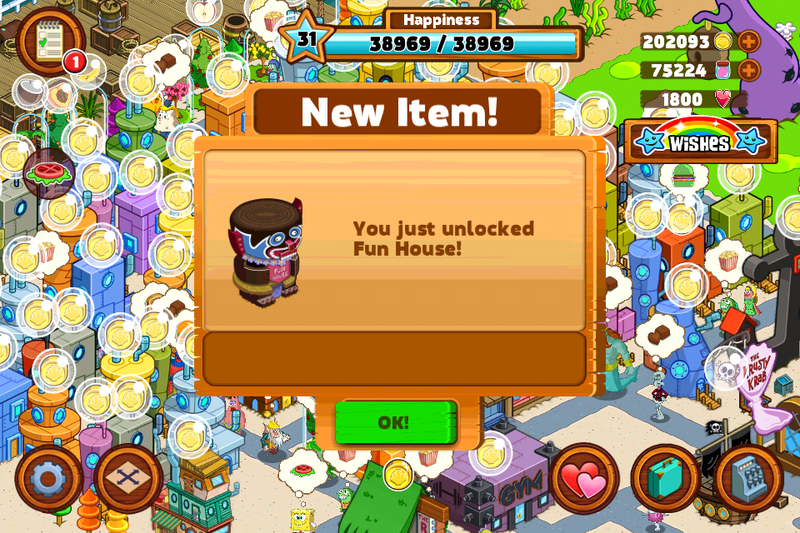 A: Hearts may be used to unlock limited edition buildings and decorations. Q: How do I earn more hearts? A: Hearts may be earned by serving special Valentine's treats to hungry citizens. 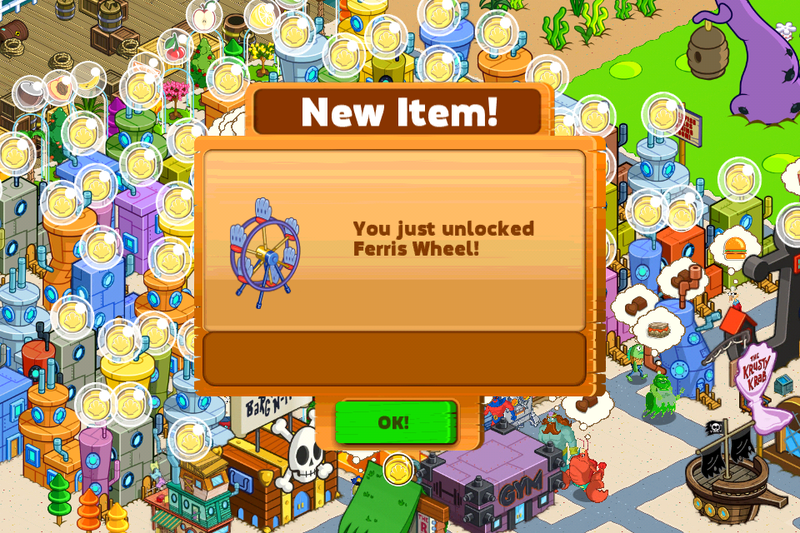 Q: Can I Place Items on the Boardwalk? A: Items can be placed on the boardwalk after you have cleared any necessary debris. Q: I just won an item. Where'd it go? 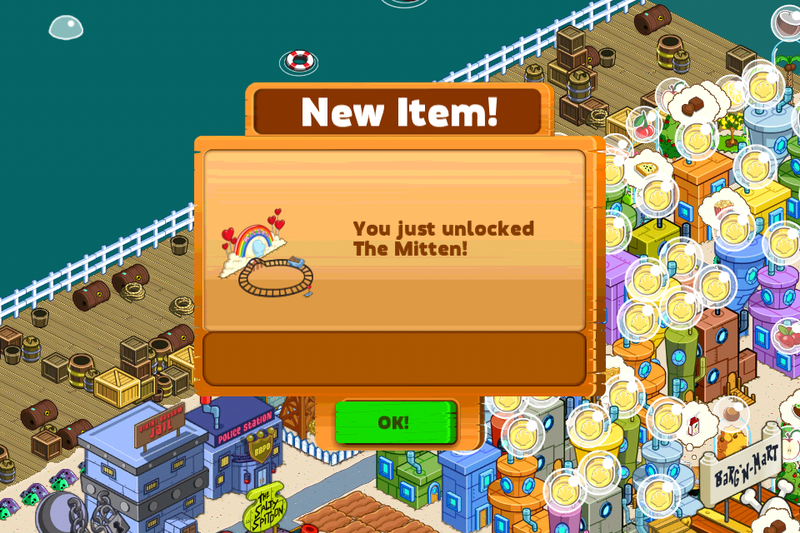 A: Items are located in the inventory, represented by the small suitcase in the lower right corner. Q: When will the Valentines' Day Event end? A: The Valentine's event ends on February 28th. Make sure to unlock all the exclusive content beforehand!